The Department of Anatomy, Physiology & Pharmacology, School of Veterinary Medicine at St. George’s University invites applications for a full-time faculty position in Physiology at the level of Assistant/Associate Professor. Perform any other duties as assigned by the Chair of the Department and/or Dean of the SVM. The successful candidate shall be required to be involved in supervising research activities of graduate students and to be engaged in research efforts that provide avenues for veterinary student involvement. 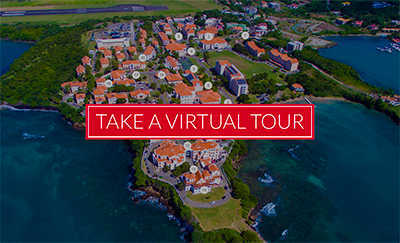 St. George’s University is an international university located on the beautiful Caribbean island of Grenada. The University is an internationally recognized institution, attracting students from over 80 nations and boasting a new campus with state-of-the-art facilities. The School offers a unique opportunity to work in a stimulating multicultural environment (https://www.sgu.edu/life-at-sgu/index.html), alongside a dedicated faculty and a highly-motivated student body.